VATICAN CITY (CNS) — Pope Francis accepted the resignations of two more Chilean bishops, bringing to seven the number of bishops who have stepped down since June in response to the clerical sexual abuse scandal in their country. In a commentary published in April on the website of the Sacred Heart Fathers, Father Perez, his order’s delegate for handling abuse claims, praised Pope Francis’ letter to the Catholics of Chile on the abuse scandal, but said that more needed to be done, including the resignation of several bishops, especially any who were connected to Father Karadima. 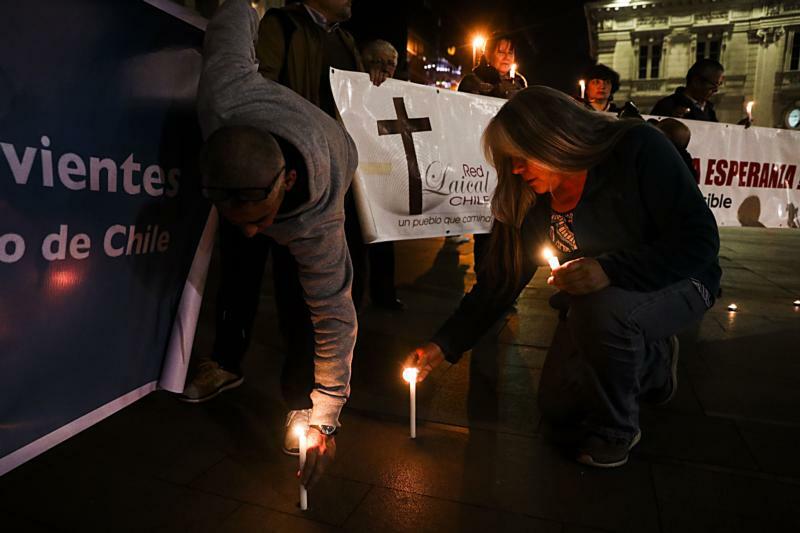 “I cannot claim they committed crimes — I do not know — but the damaging impact of Karadima’s abuse” would make it difficult to rebuild the church in Chile as long as anyone connected to him remains in office, Father Perez wrote. The priest also called in his commentary for the resignation of 76-year-old Cardinal Ricardo Ezzati of Santiago; Cardinal Francisco Errazuriz Ossa’s resignation from the pope’s international Council of Cardinals of Cardinal; and the reassignment of 65-year-old Archbishop Ivo Scapolo, who has served as nuncio to Chile since 2011. Father Perez wrote that Archbishop Scapolo “has not been and will not be the person with the sensitivity and skills needed to support a church in crisis like the Chilean one,” and, he said, if Pope Francis had not been accurately informed about what was going on in Chile, one can presume that was partly the nuncio’s fault.